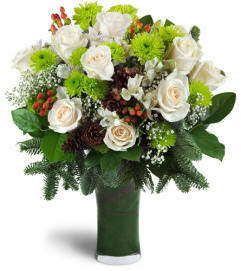 Welcome the winter season with this sweet array of delicate white blooms! 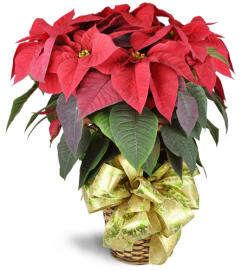 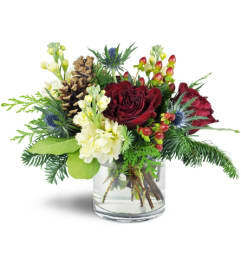 Whether in a warm climate or cold, they’ll be thinking of snow flurries and the beauty of the holiday season. 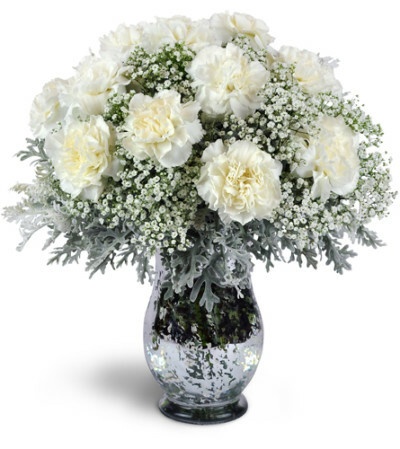 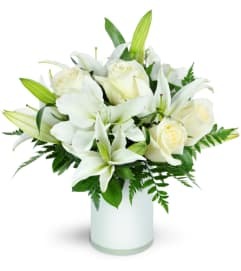 Airy white baby’s breath is arranged with white carnations and dusty miller, completed to perfection in a silvery glass vase.